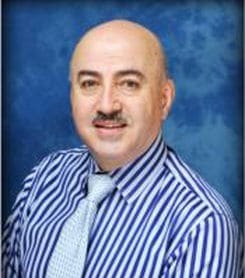 Dr. Imad Jandali opened his own Pediatric Practice in Spring Hill in 1990 and he and his wife are the parents of two girls and one boy. Established All Pediatric Care, P.A. in 1990 and The Pediatric Care of both Pediatric Units at local Hospitals – Spring Hill Regional Hospital, Brooksville Regional Hospital & Oak Hill Hospital. Established affiliation with The University of South Florida College of Medicine, All Children’s Hospital, Spring Hill Regional Hospital, Brooksville Regional Hospital & Oak Hill Hospital. Founded The Roots & Base Foundation for the newly growing Level II NICU for premature babies & babies of special need for Hernando Counties since 1990 affiliated with The University of South Florida College and All Children’s Hospital. Alexandria University School of Medicine 1982. Residency: Coney Island Hospital, Brooklyn, NY. Maimonides Medical Center, Brooklyn, NY. University Hospital of Jacksonville, FL. University of Florida 1985 – 1988. .
Dr. Jandali has been affiliated with the University of South Florida’s Department of Pediatrics and College of Medicine as an Assistant Professor. His responsibility of teaching residents and medical students as well as participating in other educational and research activities was one of many great blessings he has received as a Physician. 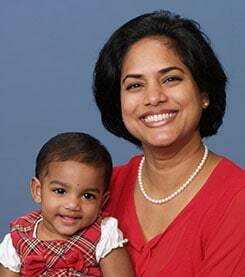 Dr. Naveena Vindhya is a board certified pediatrician with over 10 years of pediatric experience. She graduated from Siddhartha Medical College & Research Institute with her M.B.B.S – Bachelor of Medicine & Bachelor of Surgery July of 1999. She went on to do her Residency at The Brooklyn Hospital Center, Maria Fareri Children’s Hospital at Westchester Medical Center and The Jersey City Medical Center. Dr. Vindhya enjoys riding her bicycle, volleyball, cooking and gardening. Dr.Vindhya has one young daughter. The light of her life. Dr. Vindhya will be working at our new office in Lutz. 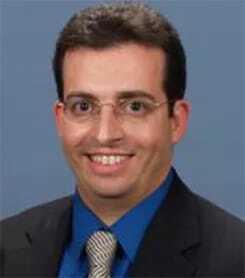 Dr. Belavilas graduated on the Deans List from Purdue University with a Masters in Biology. She went on to graduate top of her class at St. Matthews University School of Medicine, as well as receiving the prestigious Presidents award. She completed her residency at Mercer University-Navicent Health Pediatric Program in Macon, GA. During her residency she was Chieif of Pediatrics, as well as winning numerous awards including the Gomco award. 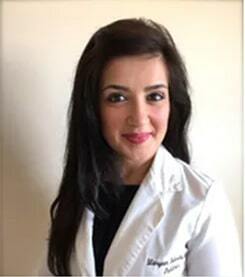 She is trained in many Pediatric procedures, as well as certified for lactation specialties. Patnaik, Sushmita; Moshref, Maryam; Mustafa, Ahmed. Sustainable Brackish Water Shrimp Farming- A Serious Thought in India. World Aquaculture. 2007 Jan.
Watson, Elizabeth; Moshref, Maryam; Mustafa, Ahmed. Noise Pollution-Underwater: A Serious Danger to Aquatic Species. World Aquaculture. 2006 Sep.
Moshref, Maryam; Mustafa, Ahmed. Farming of Tilapia in the Cooler America- Effects of Supplemented Dietary Ascorbic Acid on the Immune Response. Global Aquaculture Alliance Magazine- The Advocate. 2006 Sep.
Moshref, Maryam and Mustafa, Ahmed. Functional Foods and Neutraceuticals in Aquaculture: Effects of Vitamin C and E in Tilapia. 2005 April. Student Research and Creative Endeavor Symposium, Indiana University-Purdue University Fort Wayne. Moshref, Maryam and Mustafa, Ahmed. Functional Foods and Neutraceuticals in Aquaculture: Effects of Vitamin C and E in Tilapia. 2005 Oct. Proceedings of the 121st Annual Meeting of the Indiana Academy of Science. Mustafa, Ahmed; Moshref, Maryam; Belavilas, Angelo. Neutraceuticals and their Effects on Tilapia Health. Poster Presented at: Proceedings of the Aquaculture America 2007; San Antonio TX. Adopt a Children’s Health Center Family Spear-headed Annual Christmas Charity which sought to provide underprivileged families with holiday necessities. Methodist Home- Macon GA Provided Medical Care and Psychiatric Support to Children in Distress.